Suzuki motors has brought powerful and elegant vehicle Access 125 which is very well received by the market. Keeping in the note of demand of today's riders the scooter has been presented in a very good manner and it is appreciated by many. This vehicle is known for its comfortable mid size proportions thereby calling itself a family scooter. With its well integrated looks, great performance and fuel economy Access 125 is an outstanding motorcycle and a value for money. 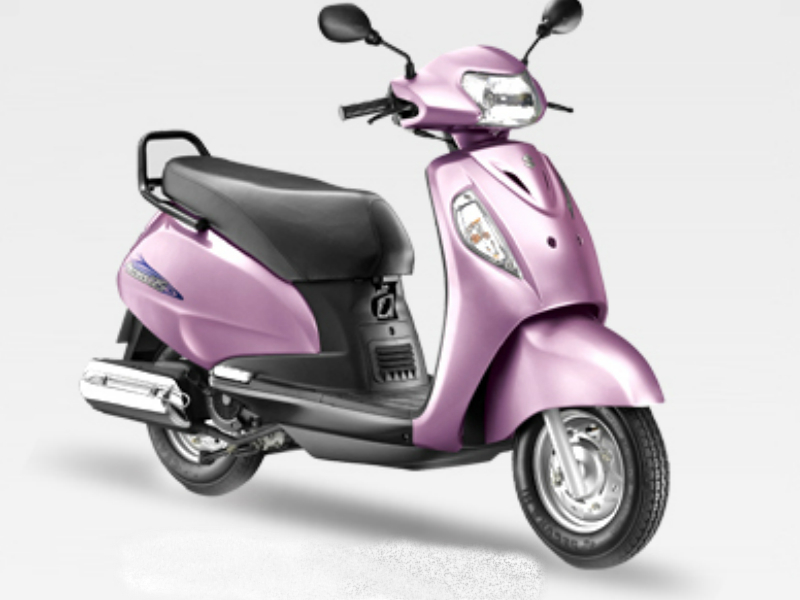 The scooter has a dynamic 125cc, single cylinder, 4 stroke, air cooled engine which ensures great performance on road. The vehicle provides the maximum power of 16.4kW at 7000 rpm and maximum torque of 9.8Nm at 5000 rpm. Access 125 can cross the speed of 0-60km in just 6.56 seconds. It is not only the good pickup but the 4 stroke with latest gearless technology gives an excellent mileage. Flat aprons and embedded large turn indicators gives the compact Japanese look to Access 125. 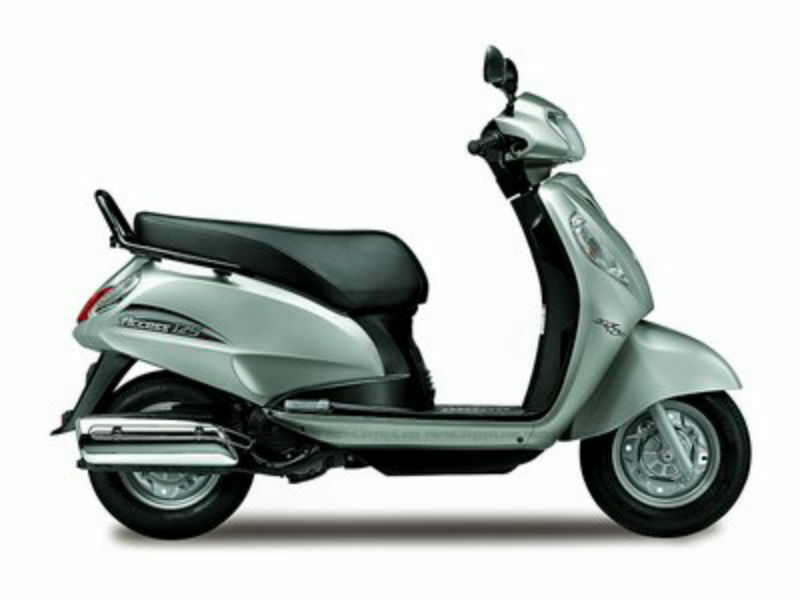 Although the overall design of the scooter is simple it showcases its elegance and sophistication which many people love. The multi reflector headlamps, side indicators and instrument panel are unique and stylish in their own way. Further, when it comes to comfort, the vehicle brings smile on the face of every rider. The wider seats, foot pegs and foot rest add to the jovial ride. A list of advanced features and technologies used in Access 125 makes it a dynamic scooter. The drum brakes used in both the wheels helps to control the scooter even during sudden braking. Even the suspension provided is very good thereby giving complete control of the vehicle and thus guaranteeing greater stability. Other noted plus point of scooter is its larger wheelbase which will reduce the rate of skidding. 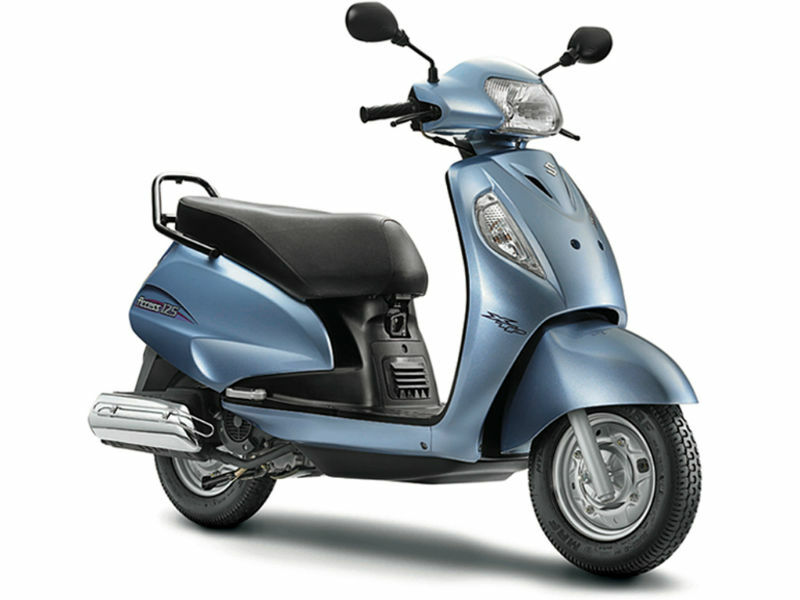 Due to its latest technology Suzuki Access 125 offers a good mileage of about 50 to 55 kmpl. The ex-showroom price of Suzuki Access 125 is Rs. 45,709. The scooter is available in various colors such as pearl mirage white; candy antares red, pearl nebular black, metallic sonic silver and metallic flint grey.